The national discussion about healthcare reform continues, especially as the Affordable Care Act’s health insurance marketplace coverage is set to take effect in January. Healthcare reform is a heated topic, and there is plenty of confusion about what is fact and what is fiction. As we all talk about the future of healthcare, our discussion should be informed by facts. With that in mind, here are four common myths — and the facts behind them. Fact: Established private insurance companies sell plans on the new state and federal health insurance exchanges. The rollout of Healthcare.gov does not represent a government takeover of insurance plans. The government provides the platform, but private insurers — including some of the biggest names in the industry — sell plans competitively through that platform. The Affordable Care Act (ACA) does increase government regulation of the insurance industry. If you are selecting a plan on the health exchanges, be sure that your physician and hospital are included. Fact: The healthcare system will still rely on a competitive market for delivery. Will there be more government involvement in healthcare now, particularly in terms of quality measures? Yes. However, care is still provided at private hospitals, clinics and physician practices. Critics often compare the ACA to socialized systems such as England’s. Keep in mind that England’s medical professionals are employees of the government. That’s simply not the case in America, where private competition will remain the norm. Fact: By law, government bodies can’t recommend policies that ration care. Critics often tie the idea of rationing care to the Independent Payment Advisory Board (IPAB). The IPAB is a group that makes recommendations to the Secretary of Health and Human Services for reducing Medicare costs. However, by law, the IPAB does not write policy. It can only make recommendations — and Congress has the power to override those recommendations. On top of that, the law’s language literally forbids the IPAB from making any recommendations that ration care, raise Medicare beneficiary premiums or restrict Medicare benefits. Fact: Illegal immigrants can’t purchase health insurance marketplace plans. They also can’t enroll in Medicaid. Permanent legal residents can apply for subsidies on the health insurance marketplaces, just like American citizens can. But as with insurance plans, these subsidies are not available for illegal immigrants. David Longworth, MDDavid Longworth, MD, is Chairman of Cleveland Clinic’s Medicine Institute, Medical Director of Health Hub from Cleveland Clinic and a respected expert in infectious diseases. Consumers on Wednesday will finally get some answers about one of modern life’s most persistent mysteries: how much medical care actually costs. For the first time, the federal government will release the prices that hospitals charge for the 100 most common inpatient procedures. Until now, these charges have been closely held by facilities that see a competitive advantage in shielding their fees from competitors. 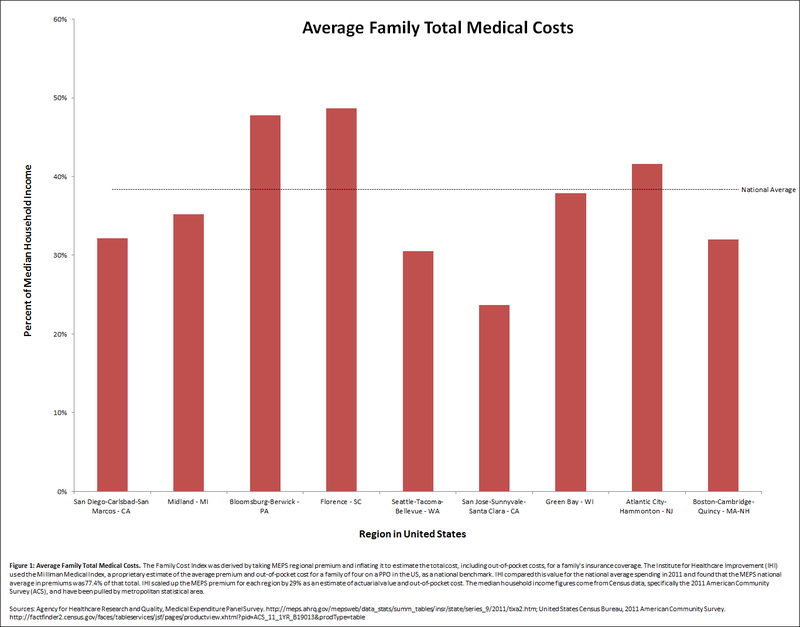 What the numbers reveal is a health-care system with tremendous, seemingly random variation in the costs of services. In the District, George Washington University’s average bill for a patient on a ventilator was $115,000, while Providence Hospital’s average charge for the same service was just under $53,000. For a lower joint replacement, George Washington University charged almost $69,000 compared with Sibley Memorial Hospital’s average of just under $30,000. Virginia’s highest average rate for a lower limb replacement was at CJW Medical Center in Richmond, more than $117,000, compared with Winchester Medical Center charging $25,600 per procedure. CJW charged more than $38,000 for esophagitis and gastrointestinal conditions, while Carilion Tazewell Community Hospital averaged $8,100 in those cases. Maryland has a unique system for hospital rate charges, so differences were smaller, and its average rate was lower than that of any other state in the most common procedures reviewed by The Washington Post. The highest average charge for a lower joint replacement was $36,000 by University of Maryland Medical Center in Baltimore, much lower than the highest rates in other states. Elsewhere, Las Colinas Medical Center just outside Dallas billed Medicare, on average, $160,832 for lower joint replacements. Five miles away and on the same street, Baylor Medical Center in Irving, Tex., billed the government an average fee of $42,632. In downtown New York City, two hospitals 63 blocks apart varied by 321 percent in the prices they charged to treat complicated cases of asthma or bronchitis. One charged an average of $34,310; the other billed, on average, $8,159. Experts attribute the disparities to a health system that can set prices with impunity because consumers rarely see them — and rarely shop for discounts. Although the government has collected this information for years, it was housed in a bulky database that researchers had to pay to access. The hospital charges being released Wednesday — all from 2011 — show the hospitals’ average list prices. Adding another layer of opacity, Medicare and private insurance companies typically negotiate lower charges with hospitals. But the data shed light on fees that the uninsured could pay. Hospitals contend that these prices, which come from a master list known as a “chargemaster,” are rarely relevant to consumers. Hospitals often provide assistance to uninsured patients in paying their bills. The public release of the data is part of an effort by Medicare to increase transparency in the health system. The agency will announce Wednesday new funding for data centers that can analyze and publish research on health-care prices. Hospitals nationwide showed a large variation for many common procedures. For joint replacements, which are the most common hospital procedure for Medicare patients, prices ranged from a low of $5,304 in Ada, Okla., to $223,373 in Monterey Park, Calif. The average charge across the 427,207 Medicare patients’ joint replacements was $52,063. Similar variation showed up for hospitals that treated particularly complicated cases of heart failure. At the high end, a hospital in Newark charged Medicare $173,250. At the low end, a hospital in western Tennessee submitted a bill for $7,304. Treating a simple case of pneumonia, with no complications, cost $124,051 in Philadelphia and $5,093 in Water Valley, Miss., with an average charge of $24,549. A Washington Post analysis of the 10 most common medical procedures showed certain patterns by state. Hospitals in six states — California, Florida, Nevada, New Jersey, Pennsylvania and Texas — routinely had higher prices than the rest of the country. Hospitals in more northern states, such as Idaho, Montana and North Dakota, tended to have the lowest prices. Even within a small geographic area, though, prices can vary dramatically. Los Angeles tended to have the highest variation in costs. The average price there for treating a breathing problem that required a ventilator (for less than four days) ranged from $78,000 to $273,000. For-profit hospitals tended to bill Medicare at a 29 percent higher rate, on average, than nonprofit or government-owned hospitals. The bills that hospitals submit to Medicare have little relationship with the amount that the government paid the provider. In many cases, hospitals that submitted higher bills ultimately received lower payments than competitors. Las Colinas, the Texas hospital that billed more than $160,000 for a joint replacement, was reimbursed, on average, $12,643. Nearby Baylor Medical Center submitted significantly lower charges but received a larger reimbursement: $14,202. Medicare analysts said that teaching hospitals such as Baylor Medical Center receive a higher overhead in their payments to cover the costs of treating low-income patients and also to fund medical education. Las Colinas spokesman Tyler Adams said that hospital’s charges do not reflect what patients pay, because the hospital negotiates discounts with insurers and subsidizes bills for uninsured patients. How consumers might use the new data remains to be seen. Some advocates for greater transparency in health care worry about releasing costs without any information about quality. “I think a lot of politicians are thinking more about transparency as a principle than actually creating a strategy that would help consumers purchase health care,” said Paul Ginsburg, president of the Center for Studying Health System Change. Patients might assume, as they do in shopping for cars or houses, that the more expensive hospital will provide superior care. Things have changed and continue to change. With ever higher deductibles, coinsurance and exclusions from coverage, employers have been shifting more and more of the cost of employment-based health insurance into the household budgets of their employees. The latest move is a shift toward “private health insurance exchanges.” Under that arrangement, employers simply make a defined contribution toward their employees’ health insurance, with which the latter purchase coverage on a privately organized health insurance exchange similar to those under the Affordable Care Act. Lost in the rhetorical war over the rollout of that law has been the fact that even if it had gone smoothly and everyone seeking health insurance for the basic package of benefits specified in the law had obtained it by now, the silver option on which the federal subsidies are based still leaves the insured open to hefty cost-sharing that, on average, is 30 percent of the actuarial full cost of that option (in other words, the policy assumes that they will pay 30 percent of the expected medical services out of pocket, though some may pay more and some less). So in either case, insurance coverage at the job or procured on the law’s insurance exchanges will leave Americans more exposed to out-of-pocket spending. That raises interest in greater transparency on the prices charged for health care and its quality. Indeed, the appearance of Ms. Rosenthal’s article fell neatly into the middle of a three-day conference in Washington, funded by the Robert Wood Johnson Foundation and a large number of other sponsors, under the theme “Health Care Price, Cost and Quality Transparency.” Slides of most of the many illuminating presentations featured at the conference are available to the public (click on “faculty materials”). This quest for greater transparency on health care prices is a distinctly American preoccupation. In most other developed countries, prospective patients do not need to know the prices charged by individual providers of health care, because these are predetermined by uniform fee schedules that apply to all providers. Furthermore, cost-sharing by patients at point of service in those systems tends to be negligible. We have inconclusively debated the pros and cons of these more regulatory approaches to price setting in health care for more than half a century in this country, under the general theme of “regulation vs. market.” With the exception of Parts C (the Medicare Advantage option administered by private insurers) and D (prescription drugs, also administered by private entities), the Medicare and Medicaid programs have followed the regulatory route, although not without constant and vehement protest over government’s Soviet-style pricing policies. For Parts C and D of Medicare and the entire private health insurance market, however, we have slouched more heavily toward what some people may call a “market approach” to health care – which in reality is a grotesque caricature of how a genuinely price competitive market would operate. In a truly competitive market, both the prices and the inherent qualities of the goods or services being traded are known to all parties ahead of any trade. By contrast, in the American health care market, both the price and the quality of health care have been kept studiously hidden from patients. Broadly speaking, and with few exceptions, this is the kind of “market” that our “market approach” has bestowed on American health care consumers (formerly “patients”). Only the wedding-industrial complex, as Catherine Rampell calls it, comes even remotely close in the opacity it affords sellers. The current system has resulted in pervasive price discrimination, in which different patients pay widely different charges for the same treatment, with no economic justification in terms of cost.…The administrative complexities of dealing with multiple prices add costs with no value benefit. The dysfunctional competition that has been created by price discrimination far outweighs any short-term advantages that individual participants gain from it, even for those participants who currently enjoy the biggest discounts [off list prices called “charges”]. Payment actually made by an insurer to various providers varies by as much as a factor of 10 within a state (see Tables 6.3 and 6.5) or even smaller region. To my knowledge, no one has ever shown that these price variations are positively correlated with the quality of health care delivered. As the many interesting presentations at that recent conference suggest, the shroud of secrecy hitherto surrounding American health care may soon be a thing of the past. In recent years there have emerged a number of entrepreneurial start-ups and other entities, forcing more transparency on prices and quality onto the providers of health care. Their clients tend to be some employers who, of late, seek to see the veil of opacity lifted from health care, to help their employees economize on out-of-pocket spending. Some insurance companies seem poised to join that effort, although others seem worried that greater price transparency and new pricing policies might disrupt their relationship with the providers of health care. Greater transparency of prices and quality in health care will not solve all of America’s problems in health care. Nor do they guarantee better cost control, if the supply side of the health care sector continues to consolidate at the pace it has in the last decade or even faster, under the convenient cover of accountable care organizations. But if a market approach instead of a more regulatory approach – e.g., an all-payer system with uniform prices – is what the powers who shape health care in the United States want, then continued opacity on prices and quality is simply intolerable. The two drugs have been declared equivalently miraculous. Tested side by side in six major trials, both prevent blindness in a common old-age affliction. Biologically, they are cousins. They’re even made by the same company. But one holds a clear price advantage. Avastin costs about $50 per injection. Lucentis costs about $2,000 per injection. Doctors choose the more expensive drug more than half a million times every year, a choice that costs the Medicare program, the largest single customer, an extra $1 billion or more annually. rising health bills, but as is often the case in American health care, there is a certain economic logic: Doctors and drugmakers profit when more-costly treatments are adopted. Genentech, a division of the Roche Group, makes both products but reaps far more profit when it sells the more expensive drug. Although Lucentis is about 40 times as expensive as Avastin to buy, the cost of producing the two drugs is similar, according to scientists familiar with the drugs and the industry. Doctors, meanwhile, may benefit when they choose the more expensive drug. Under Medicare repayment rules for drugs given by physicians, they are reimbursed for the average price of the drug plus 6 percent. That means a drug with a higher price may be easier to sell to doctors than a cheaper one. In addition, Genentech offers rebates to doctors who use large volumes of the more expensive drug. Many ophthalmologists, however, are skeptical that it provides any added value over the cheaper alternative. The story of Genentech’s two drugs, Lucentis and Avastin, began with a scientific marvel — a breakthrough in biology that, thanks to the vast budgets of U.S. entitlement programs, has produced enormous financial returns. Those profits have yielded benefits. By paying for such drugs without regard to cost, the Medicare system has helped stimulate investment in medical research that contributes to the development of more lifesaving technologies. But the flow of cash also pushes up the health-care costs that are projected to deplete federal budgets. For while Genentech has aggressively marketed the more expensive drug and sought to restrict the use of the cheaper one, critics say, Medicare has been powerless to do anything but pay up. That’s because over the past seven years, despite pleas from the Food and Drug Administration and doctors groups, Genentech has maintained the barriers that make it harder for doctors to use the cheaper drug. label,” or in ways not specified on the medicine’s label. The company also packages the drug, which was approved for cancer in 2004, in doses far too big for use in ophthalmology, meaning that the drugs must be repackaged by other companies for use in the eye, raising the risk of contamination. Genentech has argued that Avastin may pose a greater danger of severe side effects than does Lucentis, although independent scientists say such worries are unsupported by the six trials that have been conducted. related macular degeneration, or wet AMD. 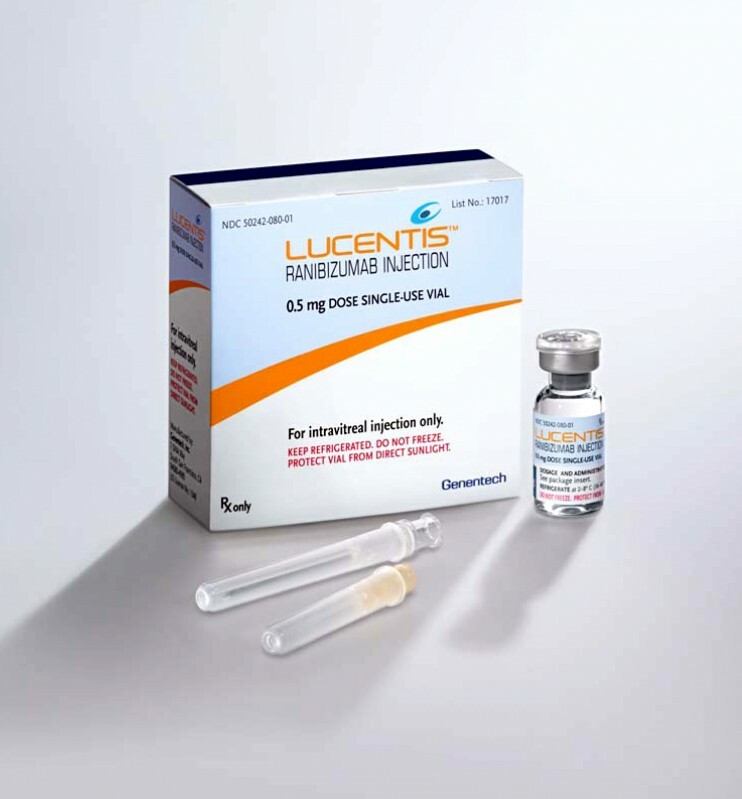 “Genentech continues to maintain that Lucentis is the most appropriate medicine for wet AMD as supported by clinical and other scientific data,” the statement said. Genentech defended its pricing by noting that the Roche Group spends $9 billion annually on research and development. Most doctors, however, prefer to use the cheaper drug. Despite the company’s position, U.S. doctors have been using Avastin in about 56 percent of such cases, according to Medicare data analyzed by The Washington Post. In the most recent survey by the American Society of Retinal Specialists, about 61 percent of doctors preferred using Avastin for macular degeneration, with the rest of the market split between Lucentis and Eylea, a new drug made by Regeneron that is almost as expensive as Lucentis. Because so many doctors continue to use Lucentis, Genentech has rung up more than $1 billion in U.S. sales of the drug for four years running. Roughly 80 percent of U.S. sales are paid for by Medicare and its beneficiaries. The rising cost of U.S. entitlement programs such as Medicare has prompted outrage in Congress, but it is Congress that has made it difficult in this case and others for Medicare to limit such expenses. To begin with, the Medicare agency is blocked from seeking better drug prices by negotiating directly with the drug companies, as health agencies in other countries do. Authorities in Britain, for example, have negotiated a price of about $1,100 per dose of Lucentis, and in the Netherlands a dose sells for about $1,300. Moreover, in cases in which two equivalent options are available, such as Lucentis and Avastin, Medicare is forbidden from restricting payment to the amount of the less costly alternative. After it sought to do so in 2009, a federal appeals court said it lacked that authority. It’s often difficult, of course, to know when two drugs are equivalent. When the debate over the two drugs and their pricing erupted more than six years ago, Genentech asserted that its more expensive new drug was superior. At the time, it was hard to show otherwise. No one had tested them in side-by-side comparisons. Since then, the six randomized clinical trials involving more than 3,000 patients have found the drugs to be largely equivalent. Yet in 2012, the Medicare program and its beneficiaries spent $1.2 billion on Lucentis, according to The Post’s analysis of Medicare data. Medicare officials said they have no choice but to pay the bill when a doctor prefers to use Lucentis. Pharmaceutical firms argue that this is the way it should be. The industry’s main lobbying group, known as PhRMA, opposes allowing the government to negotiate prices with companies — a process it calls “price controls” — and similarly opposes attempts by Medicare to pursue a policy of paying only for the least costly alternative. The industry has spent more than any other in the United States to have its voice heard in Washington. Over the past 15 years, the pharmaceutical industry has far outstripped any other in the money it has devoted to lobbying, according to data from the Center for Responsive Politics. Drug companies spent a total of $2.7 billion over that time. “Proposals to change this system by imposing price controls or only giving patients access to treatments deemed the ‘least costly alternative’ by Medicare would have severe unintended consequences,” Matthew Bennett, a senior vice president at PhRMA, said in a statement. Such proposals could discourage medical progress, he said. Moreover, because every patient responds differently to a treatment, it may be difficult for the government to set rules for coverage. “The cheapest option on average is not always the best option for many patients,” he said. What’s the right price for a miracle? Every year, about 200,000 people in North America are diagnosed with wet age-related macular degeneration, a chronic disease characterized by abnormal blood vessels that leak blood or fluid into the retina. Sufferers lose clarity in the center of their field of vision, and among older people it has long been the leading cause of blindness. Then came Avastin and Lucentis. Both are the outgrowth of pioneering work done by Napoleone Ferrara, a Sicily-born molecular biologist. Ferrara studied at the University of California at San Francisco and joined Genentech in 1988. First assigned to the company’s efforts to develop a hormone called Relaxin, Ferrara devoted his discretionary research to a theory that blood vessel growth could cause cancer and other illnesses. Over several years, Ferrara and his collaborators identified a protein called VEGF that causes blood vessel growth. They then linked that protein to cancer and macular degeneration. Finally, they developed an “anti-VEGF” drug that would attack VEGF, halting the harmful blood vessel growth. The first anti-VEGF drug was Avastin, which won approval from the FDA in 2004 for the treatment of colorectal cancer. Lucentis followed. It is a stripped-down version of the same molecule, and it can likewise attack VEGF and bind more closely to it. It won FDA approval in 2006. The company spent almost $1.4 billion on the development of Lucentis, which included 18 clinical trials, a Genentech vice president testified to Congress in 2011. The company appears to have recovered those costs and quite a bit more. In the first 2 1/2 years, it sold $2.1 billion worth of Lucentis in the United States alone. Another Swiss company, Novartis, in partnership with Genentech, sells billions more overseas. Much of that is profit. The company will not disclose how much it costs to manufacture a dose of Lucentis, saying only that it costs “significantly” more to make than Avastin. But scientists knowledgeable about manufacturing drugs of this kind say that the costs of making Lucentis are not much different from those of making Avastin. Indeed, some scientists said that some aspects of Lucentis make it cheaper to produce. The Avastin process begins with growing a culture from mammalian cells taken from the ovary of the Chinese hamster. The Lucentis process begins with growing cultures of the common bacteria E. coli, and these are easier to produce. The subsequent purification process with bacteria may be more complicated, but “production in bacteria is cheaper than in mammalian cells for several reasons,” said Hervé Watier, a medical professor at the University of Tours in France who has studied the drugs. “I think the difference in cost in producing them is very modest. They cost almost the same, from what I can tell,” Ferrara said. If so, Genentech is making a lot on each dose. The manufacturing costs may account for 10 percent or less of the price of a Lucentis dose, according to a conservative calculation generated with industry experts. The company declined to reveal how much it is making from Lucentis above the drug’s manufacturing costs. “Lucentis and Avastin are not the same medicine and should not be treated, nor represented, as if they are,” the company said in a statement. After the development of Lucentis in the early 2000s, it was the only drug known to have such effects. It seemed to be in a class by itself and seemed poised to win even more in sales than it gathers today. But then Philip J. Rosenfeld, a Miami ophthalmologist, made a discovery. Rosenfeld was lead investigator on some of the Lucentis trials that Genentech had conducted, and he recognized how effective it could be. After reading the research that some Genentech scientists had published, he realized that Avastin and Lucentis were derived from the same antibody and thus were functionally equivalent. “I realized they would perform in the same way,” he said. Under a university-approved research program, he’d also learned that Avastin, injected into a patient’s arm as is done with cancer patients, had the same effects as Lucentis. The trouble was, since the Avastin was going into the entire body, a large dose was needed, and that could produce dangerous side effects. He calculated that a much smaller dose injected into the eye would be just as effective as Lucentis. In May 2005, Rosenfeld had a patient who was quickly losing her vision. A retired nurse in her 60s, she’d lost the use of one eye already, and none of the available remedies could slow the disease’s progression. Rosenfeld knew that Lucentis could help her, but it would be another year or more before the FDA would approve it. With the patient’s permission, he injected her eye with a small dose of Avastin — one milligram — and ordered her back the next week. “We were astounded by the results,” he said. The billion-dollar drug Lucentis was about to be beaten to market, and by one of Genentech’s own products. In July 2005, Genentech held what amounted to a coming-out party for its new drug. At the annual meeting of the American Society of Retinal Specialists, the company presented several detailed studies showing how effective it was in treating macular degeneration. With hundreds of ophthalmologists crowded into the room, speakers for Genentech described the marvel of Lucentis. “Our jaws were on the floor,” recalled Daniel F. Martin, chairman of the Cole Eye Institute at the Cleveland Clinic. Right after, Rosenfeld presented his Avastin experiment on one patient. Because Lucentis had yet to win FDA approval and couldn’t be sold, ophthalmologists quickly embraced Avastin, which had been approved the year before, albeit as a cancer remedy. When Lucentis did go on sale, Genentech’s blockbuster drug already had a competitor. How could the company convince doctors and hospitals that Lucentis had any major advantage over Avastin? Over and over again, it sought to discourage the use of Avastin by raising concerns about its safety. They told doctors that Avastin was not approved by the FDA for use in the eye — Lucentis was. They reminded doctors that if the repackaging firms cutting Avastin into smaller doses were careless, infection could be introduced. And despite the lack of conclusive evidence on the point, they said that Avastin patients might suffer more adverse events than Lucentis patients. Sometimes, senior FDA officials said, these warnings stretched the truth. In October 2007, the company announced a move that would severely restrict the supply of Avastin for ophthalmology: It would no longer sell the drug to the repackaging firms that were cutting it into eye-appropriate doses. An FDA ophthalmology official, Wiley A. Chambers, told colleagues that the company had misconstrued the agency’s position. That routine FDA inspection at a Genentech plant, Chambers told his colleagues, was unrelated to the intrinsic safety of Avastin in ophthalmology. Instead, it showed that Avastin had been contaminated by glass particles, a danger that could have harmed cancer patients or eye patients. Eventually, after ophthalmologists and their professional societies strenuously objected to Genentech’s move to limit Avastin sales — they even threatened lawsuits to make sure the flow of Avastin continued — Genentech backed down and continued to provide the drug to the repackaging firms. About the same time, Genentech asked the FDA for permission to change the Avastin label to instruct doctors that it was not to be used for eyes. The FDA said there was no evidence to support such a change to the label. The FDA believed “there was no safety-related basis adequately justifying that labeling change,” according to an internal agency e-mail, and the label was not changed. The effort was funded by the NIH because Genentech had refused to test the drugs itself and, in a break from industry custom, had refused to provide the drugs to government researchers. An internal company document described the strategy of not performing a test or contributing the drugs as “in the interests of shareholders and the interests of patients,” according to a Senate Aging Committee investigation memo from 2008. Since the CATT study, five more head-to-head trials have been conducted. They also found Avastin just as effective as Lucentis. “There have now been six randomized clinical studies that show no difference in the major areas of safety concern — deaths, heart attacks and stroke,” said Martin, the Cleveland Clinic doctor who also led the CATT trial. Indeed, Genentech has acknowledged that the drugs are similarly effective. But the company has argued that Avastin may be dangerous when used in eyes. “The emerging data consistently show differences in safety — particularly in systemic serious adverse events — between Lucentis and Avastin,” Anthony P. Adamis, global head of ophthalmology at Genentech, said in an interview. These differences are “biologically plausible,” Adamis said, because studies have shown that Avastin remains in the blood longer. The main basis for Genentech’s safety argument is a finding in the CATT trial that has not reappeared in any of the following five trials and that some scientists involved regard mainly as a curiosity. The incidence of what are known as serious adverse events — a catchall category that includes hospitalizations for any reason — was slightly higher in the Avastin group: 40 percent vs. 32 percent. The adverse events included broken bones and urinary tract infections. “The majority of the adverse events would be difficult to imagine being caused by the drug,” Martin said. Martin noted that while small, probably random effects favored Lucentis in some cases and in others they favored Avastin. Neither should be viewed as conclusively related to the drug, he said. It is very difficult for such trials to detect differences in rare safety events. To do so, a trial might need more than 10,000 patients. Running a trial of that size could cost billions of dollars. To look for effects in large numbers of patients, researchers often turn to Medicare claims records, examining how patients fared on the treatments in question. It is this kind of review that Lesley H. Curtis, a Duke University medical professor, performed, looking at 146,000 patient claims. After fully adjusting for patient and provider characteristics, Curtis and her colleagues found that there was no difference in the safety profiles in the drugs. “In conclusion, we found no evidence of increased risks of mortality, myocardial infarction, bleeding, or stroke,” their research paper said. The other danger to using Avastin, however, has attracted a lot of publicity in recent years. The fact that the drug needs to be repackaged into smaller doses introduces an element of risk because it opens the possibility that the drug could be tainted during the repackaging process. (Genentech says because the FDA has not approved it for use in the eye, the company cannot legally distribute Avastin in doses appropriate for the eye. Indeed, in three cases that made the news — in South Florida, Nashville and Los Angeles — just such a problem has arisen. Several patients reportedly suffered vision loss as a result. “I’ve never used Avastin because of the potential for contamination,” Warren L. Herron Jr., a Pensacola, Fla., ophthalmologist, said after a morning in which he did 11 eye injections. “Is it a rare thing? Yes, it’s a rare thing. But I can’t stand the idea of ever telling my patients that they can no longer see because I used a tainted drug. But as Herron noted, the likelihood of contamination is negligible. Globally, hundreds of thousands of injections are doled out every year without trouble, making the risk of contamination in repackaging smaller than the risks that doctors routinely ignore when deciding on a treatment. Whether a patient gets Avastin, Lucentis or the new drug Eylea depends on an array of factors. Some doctors use only one of the drugs; some let their patients choose; many decisions are guided by whether the patient’s insurance covers the entire cost or just a portion; and some doctors may consider how much they earn with each drug. John Thompson, a Baltimore ophthalmologist who is president of the American Society of Retinal Specialists, noted that most doctors use Avastin and that even more would do so if the company sought FDA approval for using it in eyes and packaged it in appropriate doses. The trend toward value-based payment is gaining momentum. Except for efforts around managed care, where a fixed capitated fee is paid to risk-taking organizations for a defined population of patients, fee-for-service has been at the core of how we do business in healthcare. What kind of health IT tools do we need for the new direction? Traditional Medicare, based on a fee-for-service model, has experienced cost escalation year-over-year. One way of mitigating this faster-than-inflation escalation of Medicare costs was the Sustainable Growth Rate (SGR) formula, which ratchets down the dollars-per-unit of service to partly offset the growth in units of service that are billed by healthcare providers. That would have meant that each year, Medicare payment rates would have been lowered – with the adverse outcome that more doctors would refuse to participate in Medicare, and access to enrollees would be more limited. Each year, Congress has come up with last-minute postponements in SGR, with the results that the SGR formula is seen by many as a fundamentally broken process. Simultaneous to this shift in federal circles toward a more value-centered method of paying for healthcare, similar shifts are being seen in the managed care market. In California, HMO care has mainly been deployed through large, sophisticated risk-taking medical groups and IPAs (the “delegated model”), where these groups receive fixed payments from HMO insurers and assume responsibility for rendering quality healthcare. Since 2001, the Integrated Healthcare Association (IHA) – a consortium of HMO insurers, hospital systems and medical groups – has set criteria for evaluating and measuring performance, and has facilitated a pay-for-performance (P4P) method where good-performing groups get paid a bonus by health plans over-and-above their base capitation rates. This is a business model for quality. Since the inception of P4P, the focus has been mainly of measuring and improving quality. However, for a number of reasons, this has not bent the cost-escalation curve. Now, the IHA is moving toward a new methodology, referred to as Value Based P4P, where the rewards are not just based on quality and other measures, but also on the total cost of care (hospital, outpatient, ancillary and pharmacy costs). Medical groups that participate in the IHA are looking at how to re-tool themselves to take on this new challenge. What kinds of health IT do we need? Clearly, these two examples of major system changes (there are other examples, to be sure) illustrate the growing momentum toward a healthcare delivery system that needs to measure and be accountable for quality, while keeping track of the total cost of healthcare delivered. It is a fundamental paradigm shift that runs underneath the headlines. We have come a long way in moving healthcare documentation from paper to electronic platforms in the past several years. In 2007 somewhere around 7 percent of ambulatory doctors’ offices used electronic health records (EHRs), and most of them were closely associated with institutions and medical centers that provided them. In 2013, over 50 percent of doctors in the U.S. were using certified EHR systems. Moving from paper to EHRs has been a significant step forward. However, health data remains largely siloed, residing within the institutions that created them. There has certainly been consolidation – linking hospitals with community physicians (mostly through local community health information exchange mechanisms), and creating “enterprise charts” for patients within unified delivery systems. But we still have a long way to go. Tools to measure the health status of populations. This is a combination of Clinical Quality Measures (CQMs), which are population-based measures showing how different providers are faring with respect to managing their patients’ conditions, and Clinical Decision Support (CDS), which are patient-specific prompts letting the provider know what recommended things are due at the time of service. These tools need to measure cost as well as quality. Tools that facilitate care collaboration. As healthcare delivery becomes more accountable, it must become more collaborative. There need to be tools that support real-time communication between healthcare providers, allowing conversations to take place that have access to shared, universal patient data. Further, patients need to be able to participate in these conversations, and give proper consent for access to their data. To elaborate a bit more on the second point: a collaboration platform is more than just a shared patient record (though, certainly, a shared patient record is part of it). A universal PHR (Personal Health Record), though a step in the right direction, is still currently a library that one needs to go to in order to pull data that is in there (and whose usefulness is a function of the number of subscribing inputs). Collaboration is more real-time, more dynamic. It needs to be a mobile-first technology, more than a web-first one. It needs to be able to capture bits of conversation back and forth between care team members (including the patient), sharing cumulative patient data. That data is populated by the conversation content as it accumulates, in addition to EHR data pulled from each participating provider. How we pay for healthcare is changing. The fee-for-service approach, a hallmark of U.S. healthcare traditionally, is being phased into a system that pays for value over volume. We see this in some major trends – the discussion at the federal level of replacing the broken SGR formula with something more value-oriented, and the shift in managed care toward Value Based P4P. The technology needs for this new paradigm will be different. Of course, we need health data to be on electronic platforms. These platforms will evolve to serve the institutions that deploy them, and will contain CQM and CDS capabilities, as well as cost-visualization capabilities that include all areas where cost is generated (hospital, outpatient, pharmacy and ancillary) – such systems will show you “what you have done,” somewhat retrospectively. Just as important (arguably, even more important) are technologies that facilitate care collaboration. This is patient-oriented, provider-driven, cross-institutional, mobile-first, nimble and data-centered. Such systems will show you “what you are doing,” not in retrospect, but in real-time and going-forward. Needless to say, this is where my current interest is focused. Robert Rowley is a co-founder and chief medical officer of GroupMD; this blog originally appeared at robertrowleymd.com. Quality improvement is a priority for CMS and one of the goals of the Medicare and Medicaid EHR Incentive Programs. The meaningful use of health information technology (health IT) can improve quality measurement, data collection, and reporting. At CMS, we believe that, by improving quality measurement, we will improve health care quality and outcomes. In order to be successful, the implementation of quality measurement needs to be easy for providers in their routine practice to capture as part of the clinical workflow. With the implementation of the Medicare and Medicaid EHR Incentive Programs, CMS has taken steps to minimize the burden of data collection for providers. CMS has aligned some of the reporting requirements for these programs starting in 2014 to reduce the burden of data collection. Individual eligible professionals and group practices will be able to report once on a single set of clinical quality measures and satisfy some of the various requirements of all three programs. Improving Quality Measurement Although there are currently many endorsed quality measures, there are few measures in areas like care coordination and patient engagement. The goal is to identify important measures, discontinue using those of little value, and construct measures into a portfolio that meet the needs of payers, policymakers, and the public. • Increase interoperability and the ability to move data throughout the health care system securely. Advancing through eHealth We know that quality measurement is critical for advancing the nation’s health care system. The CMS eHealth initiative, through programs like the PQRS and the Medicare and Medicaid EHR Incentive Programs, will continue to find ways to implement quality measurement programs that reduces the burden of data collection for providers in order to achieve the ultimate goal of improving health care quality and outcomes. For More Information For more information on quality measures and CMS’ roadmap for improvement, visit www.cms.gov/qualitymeasures.